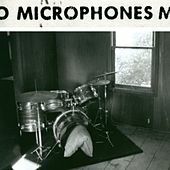 Phil Elvrum is the Microphones, or at least the leader who gathers together enough talented cronies to make some stunningly beautiful, twisted and simple recordings. What's one to think when a song is nothing more than two-and-one-half minutes of painfully vulnerable male/female vocals, gently picked guitar and simple rhythms underscored by scorching guitar noise that seems to be welling up from the pit of the songwriter's stomach? 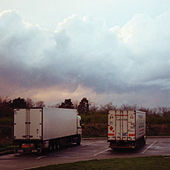 Other tunes find Elvrum in a more mechanistic mood, sort of like a poor man's Gary Numan: creepy, crawly Casio sounds drift across the speakers, buoyed by Moog madness and even a guitar chord here and there. But the singer's laconic voice is still there for your enjoyment and, mostly, your contemplation. Can the Microphones have fun? Well, they're certainly not afraid of having their audience dance, as one number is propelled by vaguely Latin rhythms that shift to breakbeat proportions as the female singer intones an ode to a woman named Anna. An extremely clever use of sounds, arrangements and emotions.